A safe and holistic approach. Acupuncture is a primary health care modality that has flourished in China for more than 4000 years. It is one branch of Chinese Medicine and used widely throughout Europe. 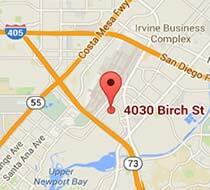 Acupuncture is considered one of the newest primary health care professions in the United States. The benefits of acupuncture have become widely recognized and integrated with mainstream healthcare. According to the Acupuncture State Board of California, pursuant to section 4927 (e) of the Business and Professions Code, acupuncture means the stimulation of a certain point or points on or near the surface of the body by the insertion of needles to prevent or modify the perception of pain, or to normalize physiological functions, including pain control, for the treatment of certain diseases or dysfunctions of the body, including the techniques of electro acupuncture, cupping, and moxibustion. The practice of acupuncture, according to Business and Professions Code section 4937 (b), is to perform or prescribe the use of oriental massage, acupressure, breathing techniques, exercise, or nutrition, including the incorporation of drugless substances and herbs as dietary supplements to promote health. Chinese medicine is a traditional medicine based upon ancient Chinese philosophy. 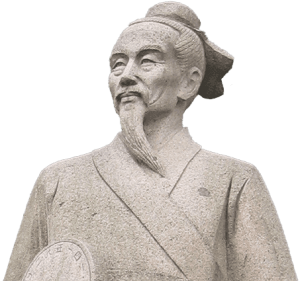 For over 4000 years, in the process of defending against diseases for the millennium, herbal medicine has been developed and systemized based upon theoretical principles as a means of both the prevention and treatment of illness and disease. The restoration of harmony is integral to Chinese herbal medicine. Harmonious balance is expressed in terms of the two complementary forces-yin and yang, and the five elements: fire, earth, metal, water, and wood. The five elements are of particular importance to the Chinese herbalist; they give rise to the five tastes by which all medicinal plants are evaluated. Fire gives rise to bitterness, earth to sweetness, metal to acridity, water to saltiness, and wood to sourness. Each taste is said to have a particular medicinal action; bitter-tasting herbs drain and dry; sweet herbs tonify and may reduce pain, acrid herbs disperse; salty herbs nourish the kidneys; sour herbs nourish the yin and astringe, preventing unwanted loss of body fluids or qi. Herbs that have none of these tastes are described as bland, a quality that indicates that the plant may have a diuretic effect. The taste of a plant can also indicate the organ to which it has a natural affinity. Besides defining particular herbal tastes, the Chinese ascribe different temperatures to herbs: hot, warm, neutral, cool, and cold. Each individual herb has different properties such as taste and temperature, and enters different organs in the body. When the herbs are combined, through mutual harmony, the treatment effect is increased and the side effects reduced. A usual prescription or formula can consist of multiple herbs. Acupuncture is a therapy that uses natural laws and energetics with the application of needles and pressure to specific points on the body. Acupuncture is based on the belief that health is determined by a balanced flow of qi (also referred to as chi), the vital life energy present in all living organisms. According to acupuncture theory, qi circulates in the body along twelve major energy pathways, called meridians, each linked to specific internal organs and organ systems. The “vital energy” in humans is believed to flow along meridians that have their root in the internal organs. On the surface of the twelve main meridian pathways are up to 365 main acupuncture points where needles are inserted to restore the proper balance of energy. The acupoints within the meridian system can be stimulated to enhance the flow of qi. When acupuncture needles are inserted into these acupoints, not just under the skin, they help correct and rebalance the flow of energy, consequently relieving pain and/or restoring health. These acupoints are grouped along specific pathways or meridians that cross the body. The flow of energy through these pathways helps to maintain good health. When the flow of energy is blocked for any reason such as injury, strain, improper diet or stress, there is disruption of health, resulting in pain and illness. By stimulating appropriate acupuncture points along the affected meridians, the energy is released and regulated, and health may be restored. Acupuncture can play a vital role as an adjunctive therapy due to how effective the meridian system is as a means of proper diagnosis. Because the meridians influence every cell in the body and pass through every organ and organ system, acupuncture provides health practitioners with an accurate means of determining health deficiencies, as well as a method of reestablishing balance. 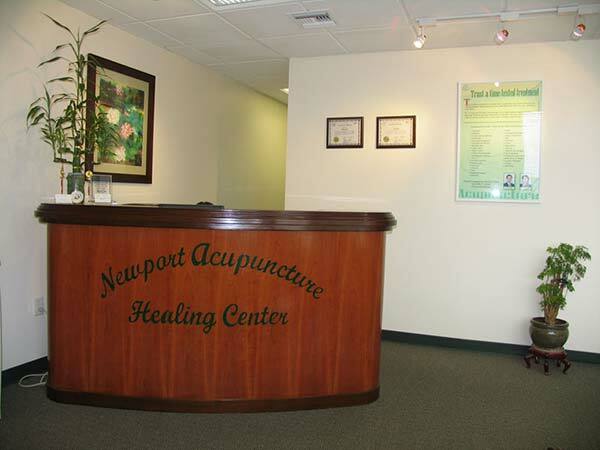 According to modern research, studies indicate that acupuncture influences the central and peripheral nervous system. Experience shows it can be particularly effective in pain control. Among a host of factors, acupuncture affects sugar, cholesterol, and triglyceride levels in the blood, the functioning of the gastrointestinal system, and the activity of the endocrine system. Acupuncture works with the body, harmonizing and balancing energy. It improves circulation, releases endorphins to control pain, and allows the body to heal more quickly and more completely. Conduction of electromagnetic signals: Evidence suggests that acupuncture points are strategic conductors of electromagnetic signals. Stimulating these points enables electromagnetic signals to be relayed at greater-than-normal rates. These signals may start the flow of pain-killing biochemicals, such as endorphins, or release immune system cells to specific body sites. Activation of the body’s natural opiod system: Considerable research supports the claim that acupuncture releases opiods, synthetic or naturally-occurring chemicals in the brain that may reduce pain or induce sleep. These chemicals may explain acupuncture’s pain-relieving effects. Stimulation of the hypothalamus and the pituitary gland: Joined at the base of the brain, the hypothalamus and pituitary glands are responsible for many body functions. The hypothalamus activates and controls part of the nervous system, the endocrine processes, and many bodily functions, such as sleep, regulation of temperature, and appetite. The pituitary gland supplies some of the body’s needed hormones. Stimulation of these glands can result in a broad spectrum of effects on various body systems. Change in the secretion of neurotransmitters and neurohormones: Studies suggest that acupuncture may alter brain chemistry in a positive way. This is accomplished by changing the release of neurotransmitters (biochemical substances that stimulate or inhibit nerve impulses) and neurohormones (naturally-occurring chemical substances that can change the structure or function, or impact the activity of, a body organ). You first get diagnosed based on examination data we obtain from you and then get treated. During examination, an important method of diagnosis we use involves analyzing the pulses of a patient. Six pulses are felt on each wrist, corresponding to the major body organs and functions. Each pulse is located at a specific position on the wrists, and each one is believed to tell the exact state of the different organs or functions. Other diagnostic methods include questioning the patient regarding symptoms and living habits, your sleep, emotional state, digestion, urination, menstruation, sweating, family history, ect; careful observation of the patient¡¯s tongue, facial and body coloring as well as observation of skin texture and temperature distribution on different body areas. 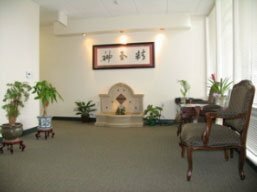 We utilize all your information to make diagnosis based on Chinese Medicine theories of Yin Yang, five elements, meridians and collaterals, internal organs, etiology and pathology. During treatment, selected points are cleaned with alcohol cotton, and sterilized disposable needles are inserted along the appropriate meridians. Acupuncture needles are of different lengths and gauges, but are generally hair-thin, solid, and made of stainless steel. The part of the body into which the needles are put will often appear to bear no relation to the site of disease or symptoms. The depth of the needle insertion varies, depending on the points being used. Most needles are inserted just below the skin¡¯s surface, but some may go from a depth of a quarter inch to as much as three inches. In most cases the needle insertion can hardly be felt by the patient. Usually there is only a brief sensation as the needle is inserted, and it is rarely painful, just slight heaviness or distention. 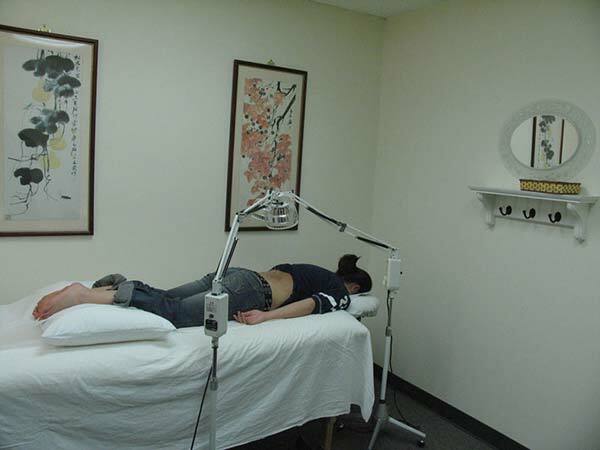 Once the needles are in place and patients do not move the body position, they generally cannot be felt. Sometimes an electrical current is used to further enhance the stimulation of the acupuncture points. Individual wires are clipped to two or more of the needles. The acupuncturist adjusts electrical current to the level where the patient is able to feel a slight tingling sensation. The needles may also be manipulated manually in twirling or push-pull movements. Moxibustion can also be used in conjunction with acupuncture. It may consist of rolling a ball of dried herb (mugwort) around the needle¡¯s shaft and lighting it so that the needle is warmed. This has the effect of reinforcing the needle¡¯s action. Another method is to pass a burning moxa stick back and forth over the appropriate body area just close enough to give a comfortable heat. Moxibustion is generally used only for a few minutes and mostly for certain types of physical disorders, such as arthritis, fibromyalgia, chronic fatigue syndrome, infertility, as well as preventing diseases and keeping healthy. Another technique is Cupping therapy in which a jar is attached to skin surface to cause local congestion through the negative pressure created by manual force or introducing heat in the form of ignited material. The suction caused by cupping on some acupoints can warm and promote the free flow of qi and blood in meridians so as to diminish pain and swelling. The jar can be made of bamboo, ceramic, glass or plastic, and stays on skin for about 10 minutes. For muscular pain or emotional problems like stress, nervousness manual therapy, and therapeutic massage are added to treatment. The needles typically stay in place for about half an hour. For some conditions, however, they may be in place for only a few minutes or for up to an hour. Afterwards, removes the needles, and swabs the insertion point with clean cotton. We may use one or all the above techniques to restore the free flow of energy in patients to prevent, and or treat illness, or relieve pain. 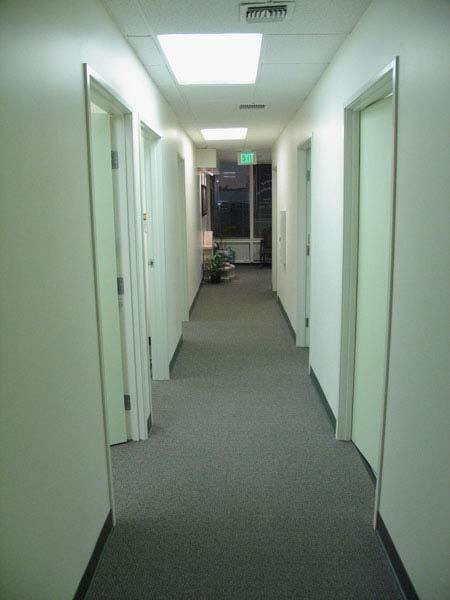 Many patients find the treatment very relaxing, which brings on a feeling of well-being. Often patients are surprised at how comfortable they are during treatment and how easily the needles are placed. Some people even go to sleep during treatment. A patient may feel a slight sensation upon entry and then pressure or a “dull” or “surging” reaction when the needle reaches the “qi” or correct point. Many Americans seek acupuncture treatment for relief of chronic pain, such as arthritis or low back pain. Acupuncture, however, has expanded uses in other areas. The following conditions are common clinical indications for acupuncture treatment. Acupuncture can help remedy many other ailments which have not been listed here. Acupuncture is very safe when performed by a licensed acupuncturist. The World Health Organization endorses acupuncture for the treatment of many conditions. Acupuncture has been used safely in China and all around the world. California law states all needles should be sterile and disposable. This depends on the individual condition. Some people experience immediate relief; others may take longer time to achieve results. Usually in our office patients see results within 2 weeks. Acute conditions respond well to 2-3 treatments per week until problems resolve. More intense situations such as severe headache or panic attack start with 2-3 treatments per week for about 2 weeks to get symptoms controlled and then the frequency of treatment is gradually reduced. Chronic conditions often require weekly treatments for a period of time. Infertility cases receive acupuncture treatment once a week, but require treatments twice a week during the period of IUI or IVF procedures. After the chief complaint is resolved many patients opt to come once or twice a month for wellness and prevention. No. In California an acupuncturist is considered to be a primary care provider; therefore, health insurance companies do not need a doctor’s referral. Motor vehicle/car accident insurance does not require a referral, but worker’s compensation insurance companies do require a doctor’s referral.